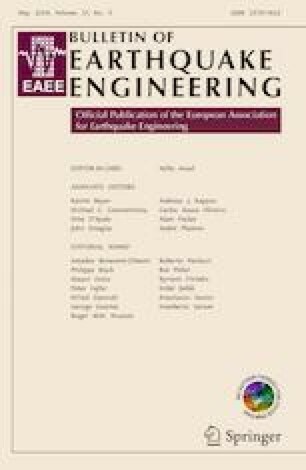 The non-smooth contact dynamics method was selected to investigate the damage occurred to typical masonry churches (namely Apennine churches) belonging to Central Italy areas affected by the seismic activity started in 2016. The investigated buildings show discontinuous dynamics since the optioned method gave the chance to properly model the temples as multi rigid body systems using the Signorini’s impenetrability condition and the dry-friction Coulomb’s law, achieving a thoughtful response to ground seismic solicitations. The results provided by the assessment grant an overview of the most common damages and failure mechanisms, giving the guidelines to restoration projects that fully respond to structural needs. The authors wish to acknowledge the Soprintendenza Archeologia, Belle Arti e Paesaggio delle Marche and all the Municipalities for their valuable helps during the preparation of this work.